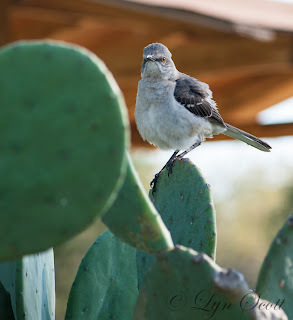 I enjoyed this mockingbird with the great personality. He did not seem to mind that I was so close, he just kept on posing and twittering away while sitting on the cactus. This bird flew off a couple times and then came back to have a staring contest. He won.